SHELBY — The Colonel Crawford Eagles and the Crestline Bulldogs swim teams were both in Shelby on Saturday, December 2 to compete in the Shelby Invitational. Crawford’s swimmers had quite a day, winning the girls field and finishing as the runner-up on the boys side. Crestline’s girls squad finished in the middle of the pack at fifth while the boys took eighth in the nine-field team. Full results from the girls field were: 1. COLONEL CRAWFORD- 128; 2. Shelby- 69; 3. Tiffin Columbian- 52; 4. Willard- 29; 5. CRESTLINE- 11; 6. River Valley- 8; 7. Crestview- 7 and 8. Elgin- 4. Full results from the boys field were: 1. Willard- 71; 2. COLONEL CRAWFORD- 65; 3. Tiffin Columbian- 59; 4. Shelby- 44; 5. River Valley- 28; 6. Crestview- 18; 7. Vermilion- 14; 8. CRESTLINE- 6 and 9. Elgin- 3. The Lady Eagles would take first place in 10 total events at the invite, including a win in all three relay races. To start off the day, the 200-medley relay foursome of Cassidy Vogt, Kaisey Speck, Jillianne Gregg and Pierce Krassow swam to the win in a time of 2:13.19. That time was more than 11 seconds quicker than runner-up Tiffin Columbian. In the 200-freestyle relay, it was Crawford (Krassow, Speck, Vogt and Gregg) outlasting the Lady Whippets and taking first with a time of 1:58.67. In the final race of the day, the group of Alison Manko, Chloe Carman, Karlie Kurtzman and Jayden Ward took first in the 400-free relay in 4:47.38. Crawford would have four girls win individual events on the day, all of whom were also on winning relay teams. Vogt took first in the 100-free (1:05.98) and the 100-back (1:17.65). Ward was the winner in the 200-free (2:26.84) and the 400-free (5:05.54). Speck earned first place in both the 100-fly (1:12.88) and the 100-breast (1:21.12). Last, but not least, was Gregg winning the 50-free (29.01). Other swimmers and their placements for the Lady Eagles were: P. Krassow- 200-free, 2nd and 100-free, 4th; Kennedy Speck- 200-individual medley, 2nd; Emma Swisher- 200-IM, 4th; Hailey Ratliff- 50-free, 3rd; Gregg- 100-fly, 4th; Kurtzman- 400-free, 2nd; Bailey Dixon- 100-back, 3rd and Drew Krassow- 100-breast, 2nd. Crestline Lady Bulldogs placements from Saturday were: 200-medley relay team of Alex Miller, Michaela Jeffrey, Kinsey Kenison and Brynn Cheney), 6th; 200-free relay (Caitlin Harley, Brooke Reynolds, Ivy Stewart and Cheney), 6th; Jeffrey, Kenison, Miller and Reynolds- 400-free relay, 6th; Jeffrey- 200-free, 7th and 400-free, 6th; Cheney- 200-free, 14th; Kenison- 50-free, 4th and 100-back, 6th; Mariah Mosier- 50-free, 16th; Harley- 100-free, 10th; Stewart- 100-free, 13th; Miller- 100-back, 11th and Reynolds- 100-breast, 13th. Colonel Crawford’s boys team had three event wins on Saturday during the invitational. The 200-free relay team consisting of Keton Pfeifer, Nick Barnes, Kyle Taylor and Nic Motter won the close battle in the event against Columbian with a time of 1:57.39. Motter would win the first individual event on the day for the Eagles in the 200-IM, finishing first in a time of 2:33.79. Kyle Taylor earned the victory in the 100-free with a time of 1:02.45. Other swimmers and their placements for the Eagles were: Taylor, Pfeifer, Motter and Barnes- 200-medley relay, 2nd; Keenan Wilson, Blake Scribner, Kevin Phillips and Brandon Britt- 400-free relay, 4th; Wilson- 200-free, 9th and 100-free, 6th; Zach Leonhart- 200-free, 10th and 100-breast, 6th; Marcus Fagan- 200-IM, 6th and 100-fly, 5th; Pfeifer- 50-free, 4th and 100-breast, 4th; Scribner- 50-free, 8th; Motter- 400-free, 2nd; Andrew Johnson- 400-free, 9th; Taylor- 100-back, 2nd and Barnes- 100-back, 7th. 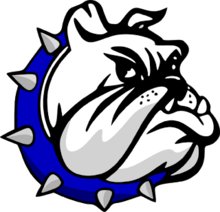 Crestline Bulldogs placements from Saturday were: Logan Parella, Trenton Gray, Alec Sipes and Keagen Sqrow- 200-medley relay, 6th; Parella, Sipes, Sqrow and Jaden Stewart- 200-free relay, 5th; Stewart- 50-free, 10th; Parella- 50-free, 12th; Trenton Gray- 100-free, 12th; Sqrow- 100-free, 17th and Sipes- 100-breast, 8th. 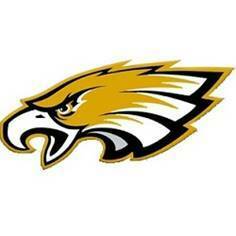 Colonel Crawford will travel to the Galion YMCA on Wednesday, December 6 to meet up with the hosting Galion Tigers. Crestline will also be on the road when they travel to Orrville on Thursday.